ITV bosses are said to be locked in crisis talks over the future career of family favourite Ant McPartlin. 42-year-old McPartlin has been arrested on suspicion of drink driving, in an incident which involved a three-year-old girl. The TV personality reportedly lost control of his Mini and crashed into another car. After failing a roadside breathalyser test, police officers took Ant away for questioning. The injured three-year-old was taken to hospital as a precaution. Ant’s mother and pet dog, Hurley, were both inside the vehicle at the time of the incident. I wonder if Ant McPartlin has still had alcohol in his system from St Patrick's day celebrations. Find it hard to believe his mother would get into the car with him if he was drunk. Ant had been due to co-host Ant and Dec’s Saturday Night Takeaway this weekend, alongside his long term presenting partner Declan Donnelly. However, according to The Mirror, ITV bosses are now discussing whether or not Ant should appear on the popular prime time programme this week. Ant and Dec have had a long history of working with ITV, presenting many of the channel’s most successful shows including I’m A Celebrity… Get Me Out Of Here! and Britain’s Got Talent. Police in Richmond were called to Lower Richmond Road at 15.59hrs following reports of a road traffic collision involving three vehicles. Officers, London Ambulance Service and London Fire Brigade attended. A number of individuals were treated at the scene for minor injuries only. A child passenger from one of the cars has been taken to hospital for a check up as a precaution. A 42-year-old man was arrested at the scene on suspicion of drink-driving after failing a roadside breathalyser test. He has been taken to a south London police station for questioning. I have the utmost sympathy for Ant McPartlin’s recent troubles, but there is no excuse for drink driving. Ever. This latest incident comes after a traumatic time for the presenter, who has publicly spoken about his battle with alcohol and prescription drugs addiction. After spending time in rehab, Ant returned to work in November for his annual appearance on Im a Celebrity… Get Me Out Of Here! The pair even joked about Ant’s rumoured absence from the show. In January 2018, Ant split from his wife Lisa. Pressure was reportedly put on the marriage by Ant’s addiction issues. Now rumours have begun that another presenter could be filling in for Ant on Saturday Night Takeaway. Stephen Mulhern and Scarlett Moffatt are both names which are being banded about. 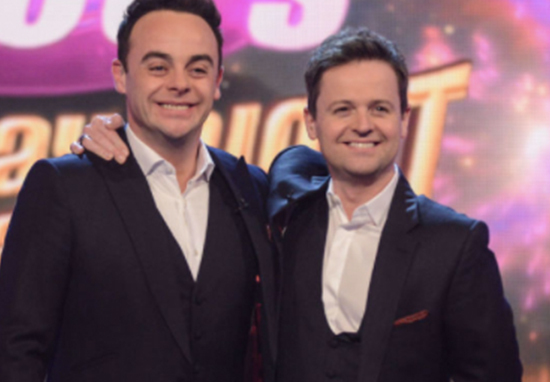 It’ll just be Dec on Saturday Night Takeaway next week then. ? It’s been a tough year for me personally, quite an emotional night, so to kind of top it off with three awards has been … can I have a lie down now? I had a very tough summer last summer, I had to face up to a lot of things and my one thing was just getting back to work with my best mate. Sorry to hear about Ant McPartlin. It's so sad to see such a nice guy clearly struggling. Hope he manages to sort himself out. Our thoughts go out to all who were involved in this crash.